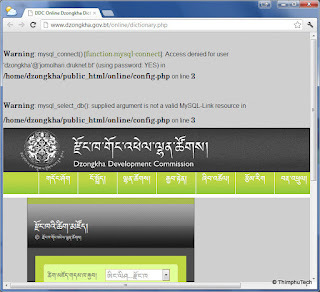 ThimphuTech.com: How do you say "Access denied for user" in Dzongkha? 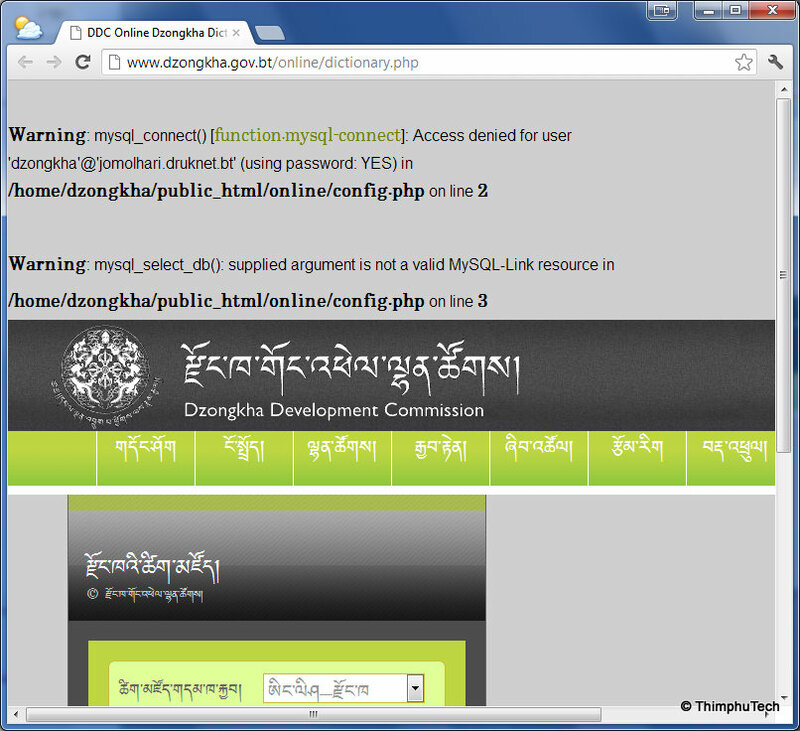 How do you say "Access denied for user" in Dzongkha? What's going on here? DDC's web server cannot access the back-end database. But in the process, it prints diagnostics ("Access denied for user ...") which I, as a user, should not see. These messages can help an adversary to hack into the system, since now the "bad guy" has information about the database server and the username. The web server should not print these messages. A webmaster can easily turn off diagnostic messages in the production system. In addition, it is highly advisable to employ a monitoring mechanism which will periodically check that the web server is functioning correctly.